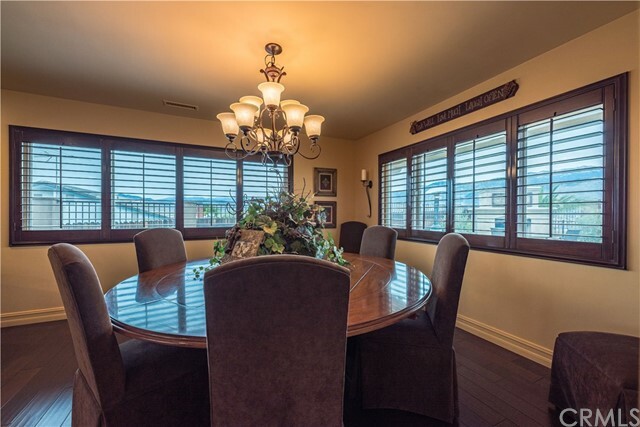 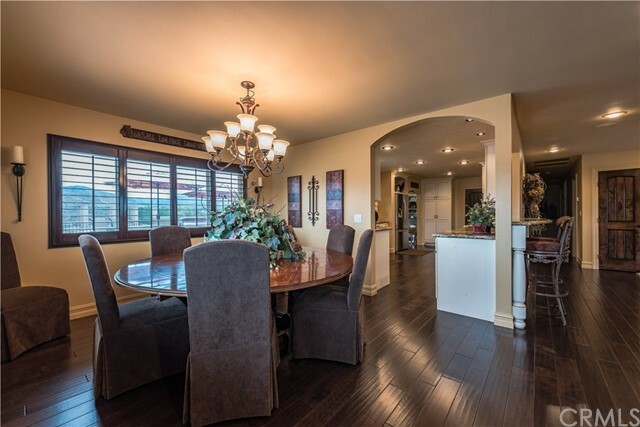 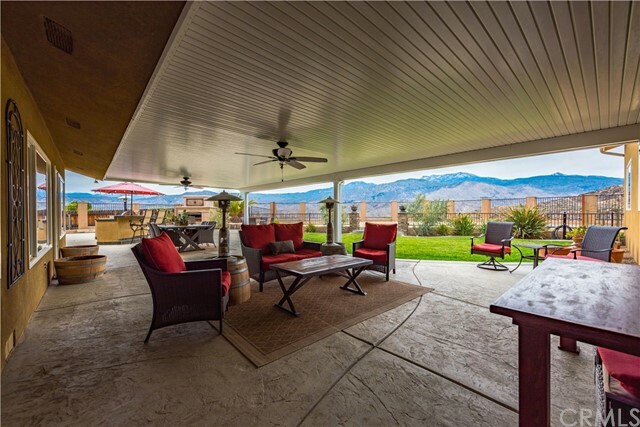 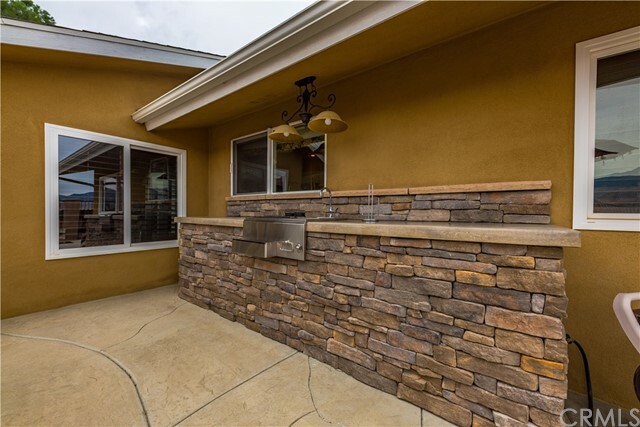 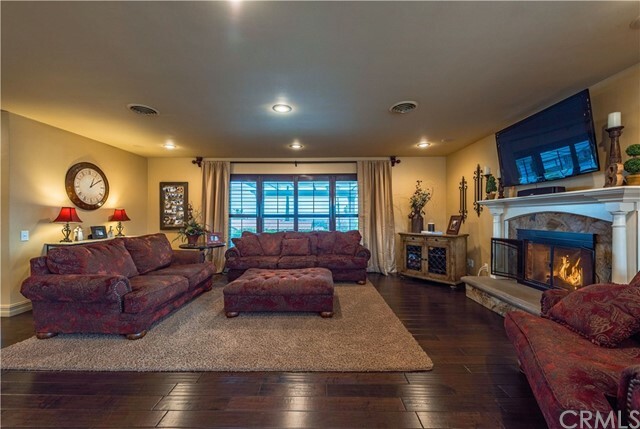 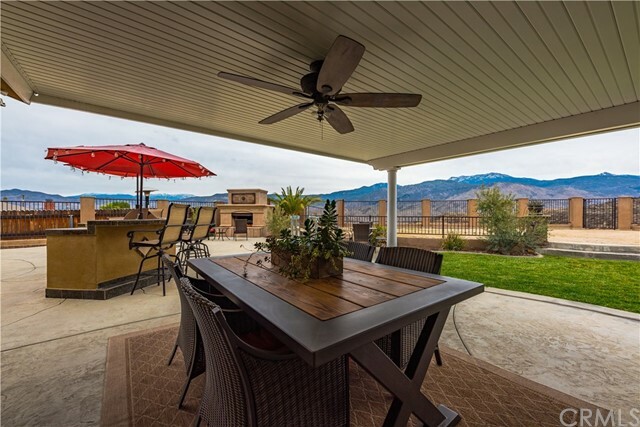 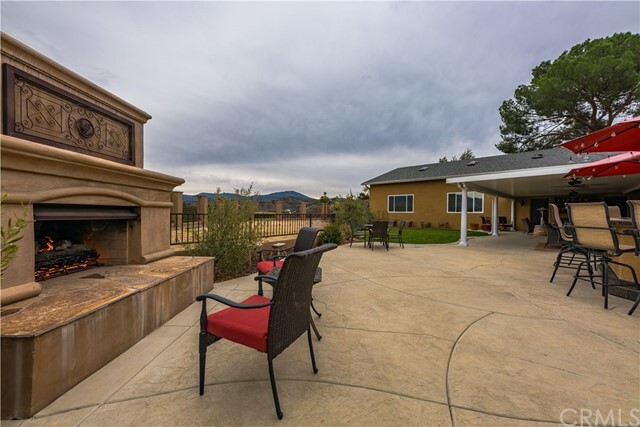 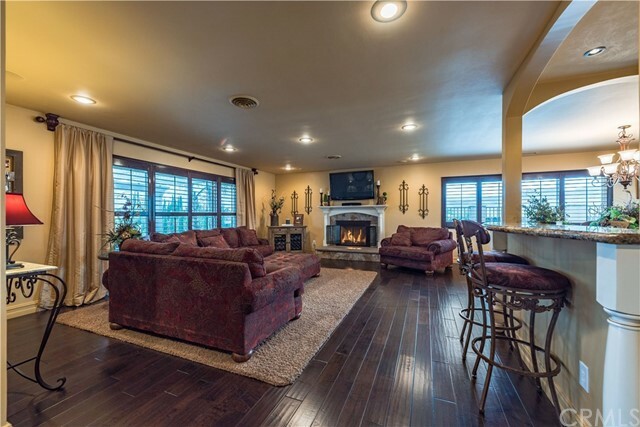 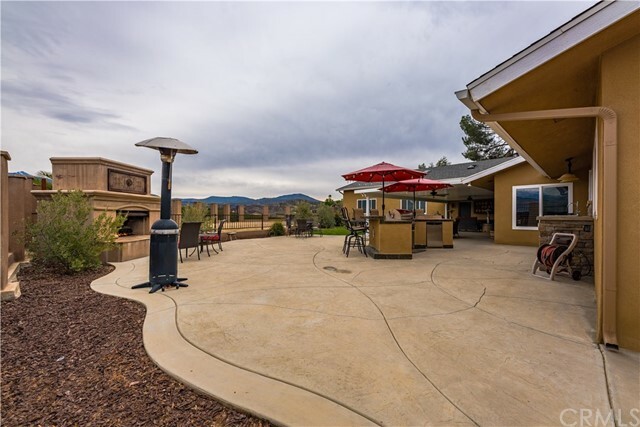 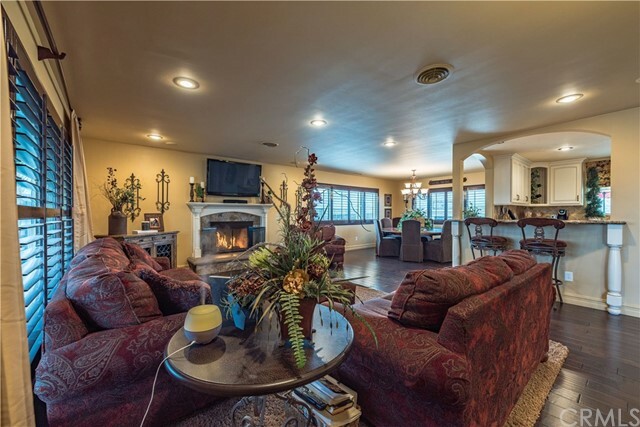 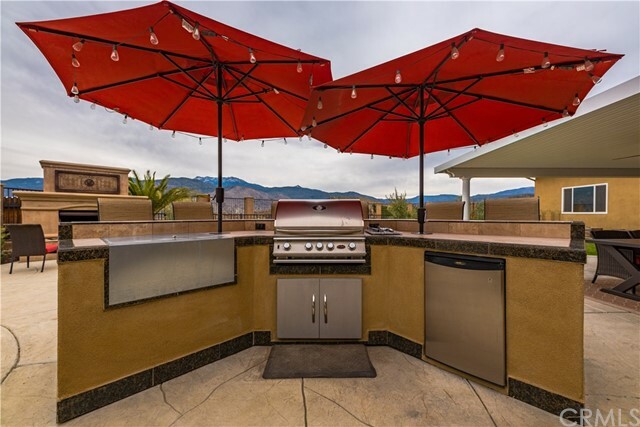 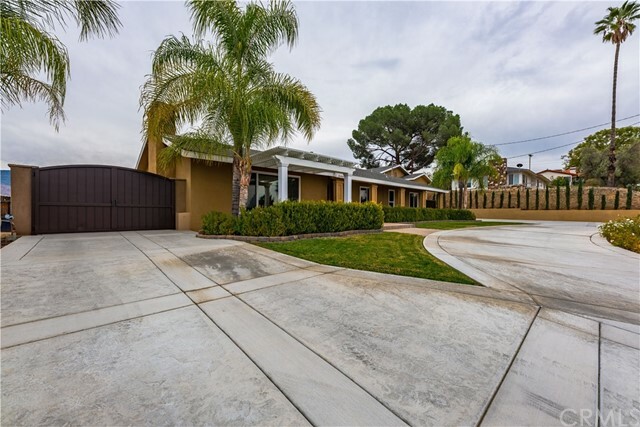 Highly upgraded single story in home in Sprague Heights on a half-acre w/ stunning panoramic views of the beautiful San Jacinto Mountains. 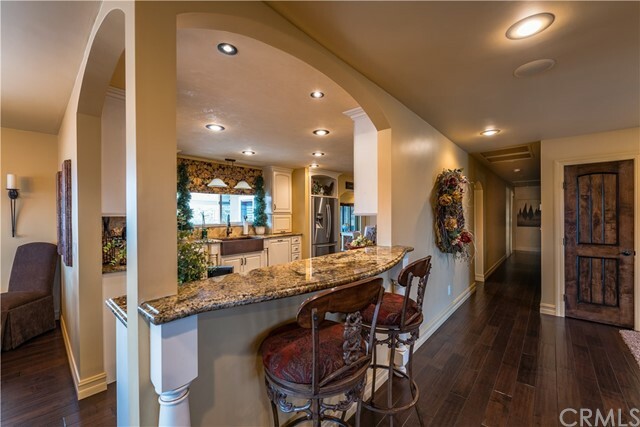 The interior and exterior have been completely remodeled. 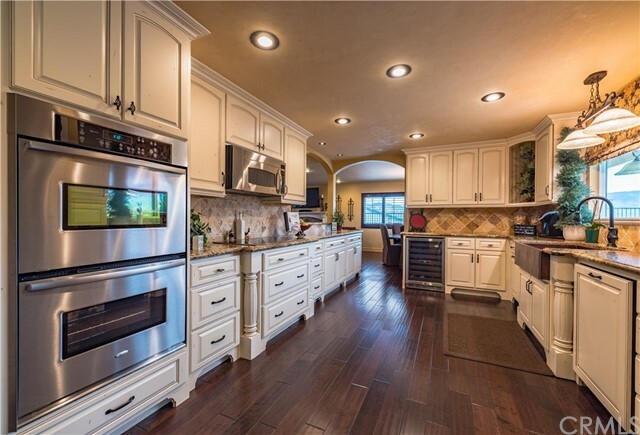 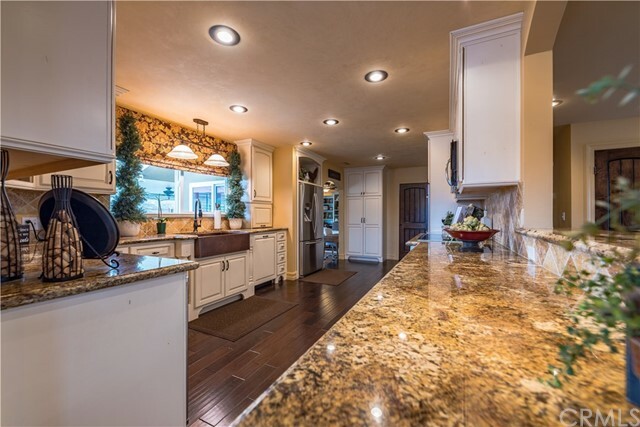 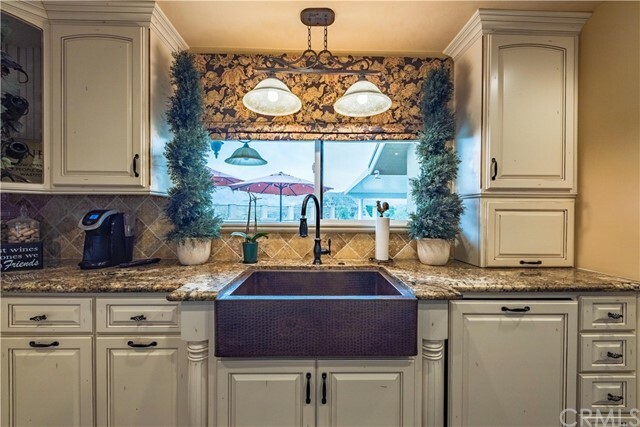 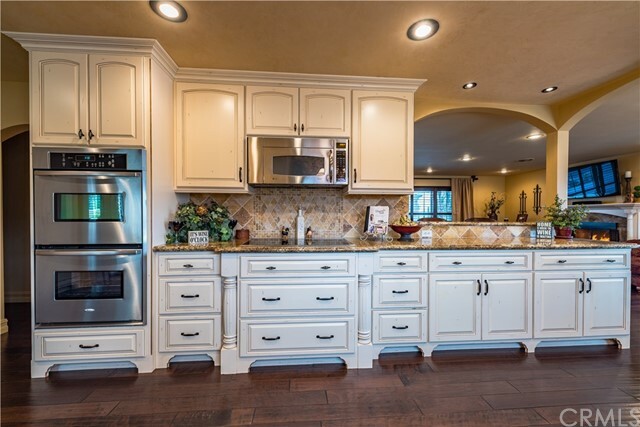 Gourmet kitchen offers custom wood kitchen cabinets w/built-in refrigerator, wood paneled dishwasher, copper farmhouse sink, double wall ovens, wine refrigerator & granite counter tops. 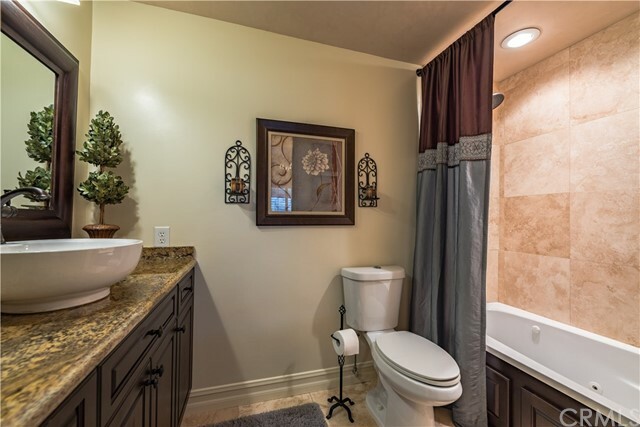 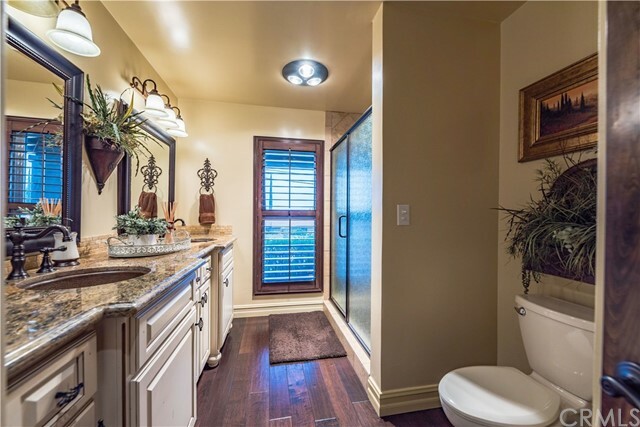 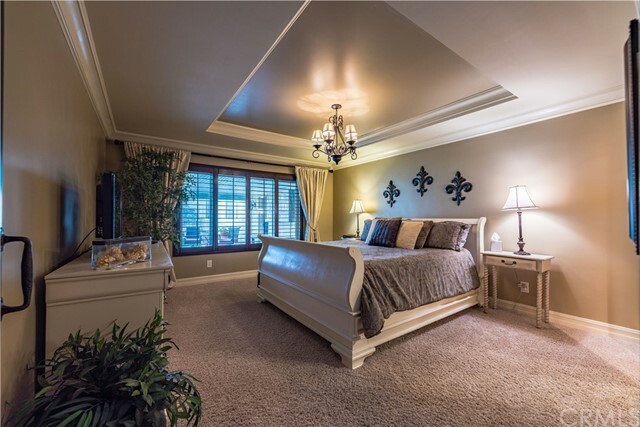 Custom wood cabinetry, Alder wood custom interior doors, double copper sinks & a walk-in shower in the guest bathroom. 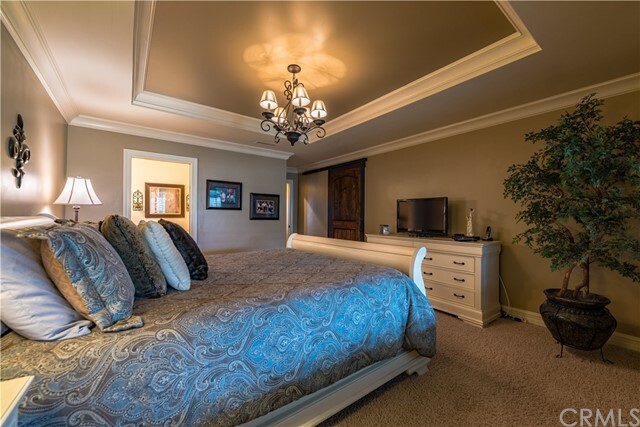 The master bathroom offers a Jacuzzi bath tub & master bedroom also offers a dramatic tray ceiling & a spacious walk-in closet. 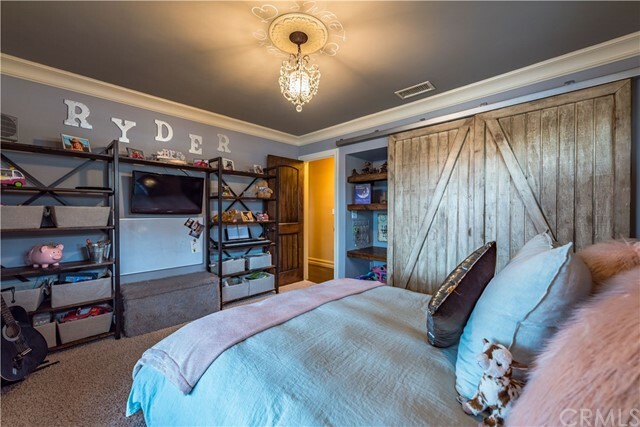 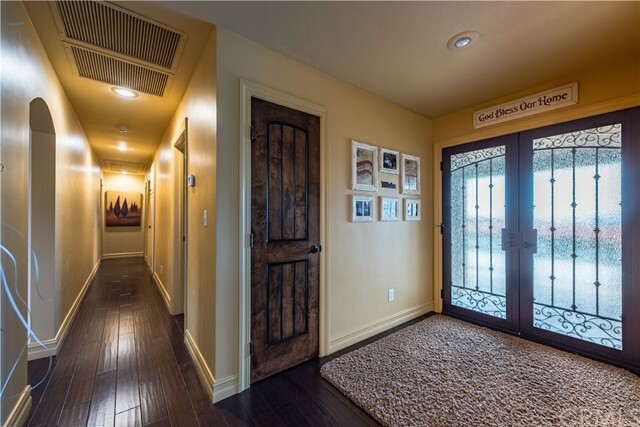 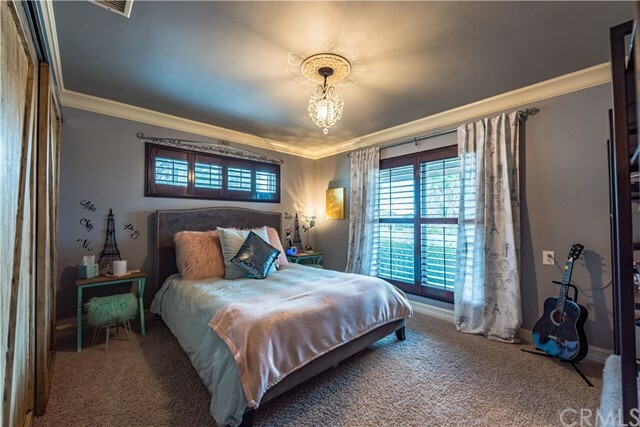 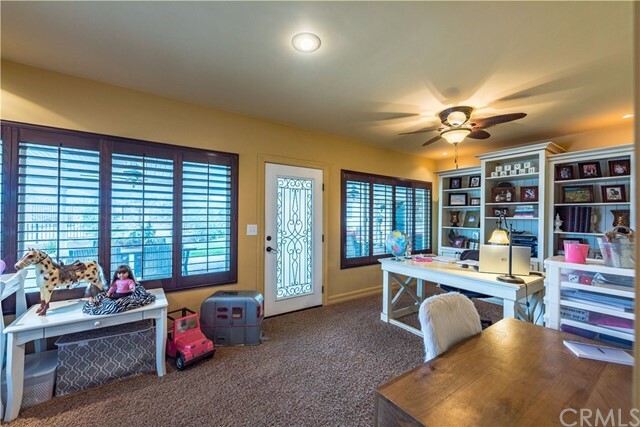 Newer energy efficient windows, wood plantation shutters, indoor laundry room, fireplace in the family room, hardwood floors w/ 5 baseboards & all bedrooms have 5 crown molding. 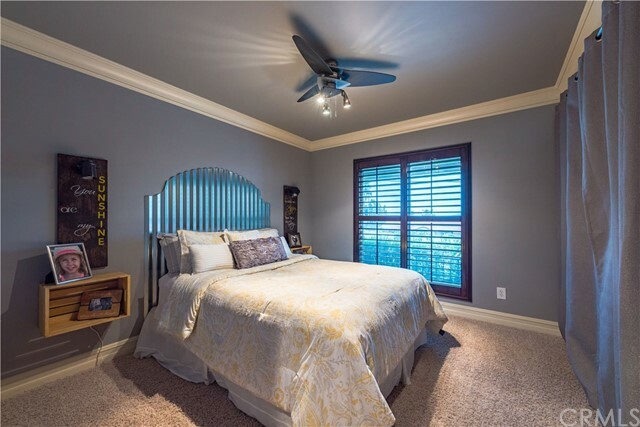 Whole house fan & newer energy efficient HVAC unit. 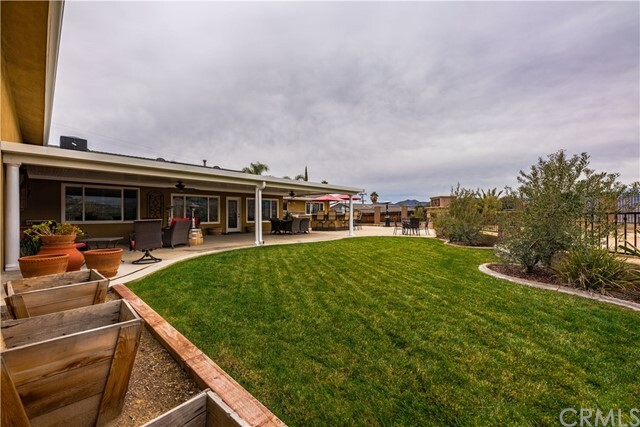 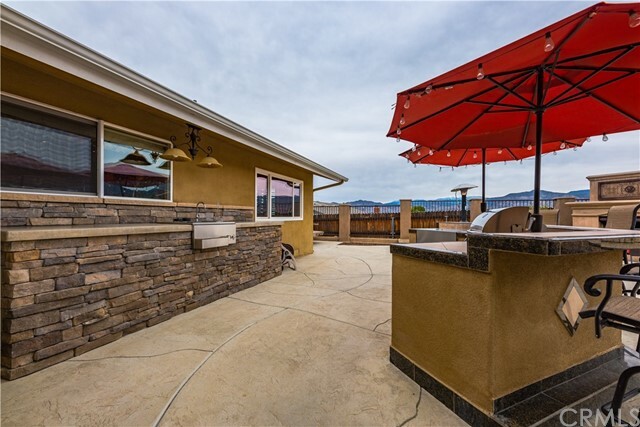 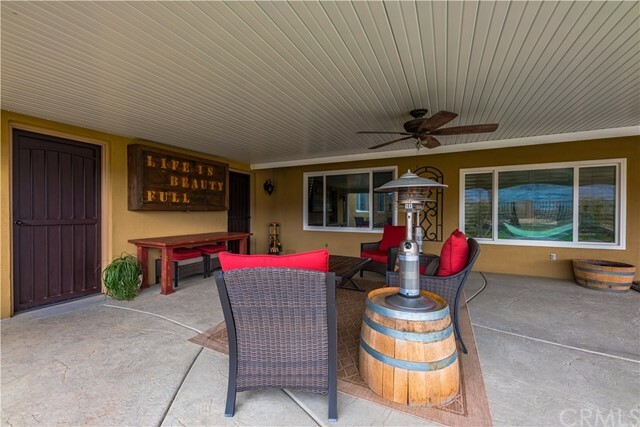 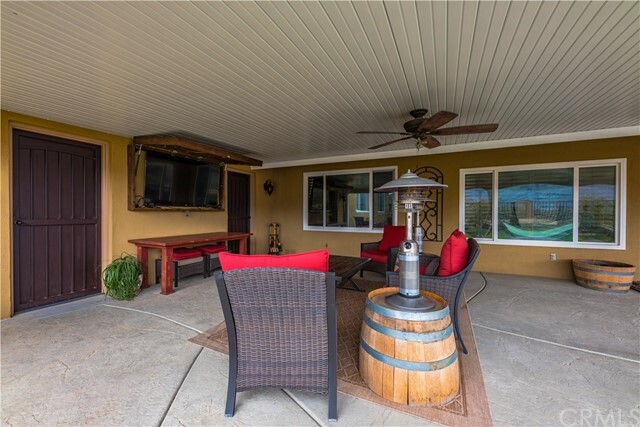 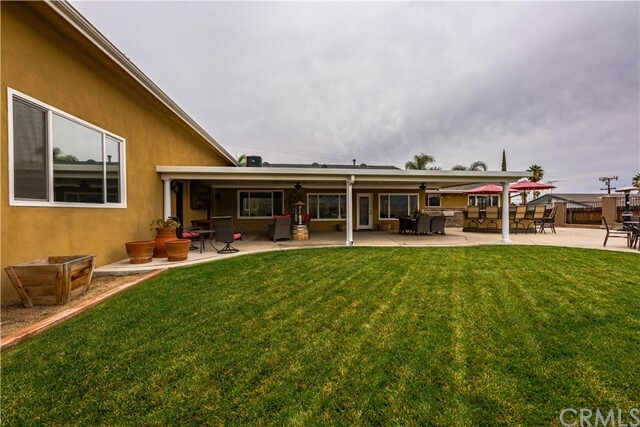 The backyard is a dream w/an Alumawood covered patio, stamped concrete, BBQ island w/ refrigerator. 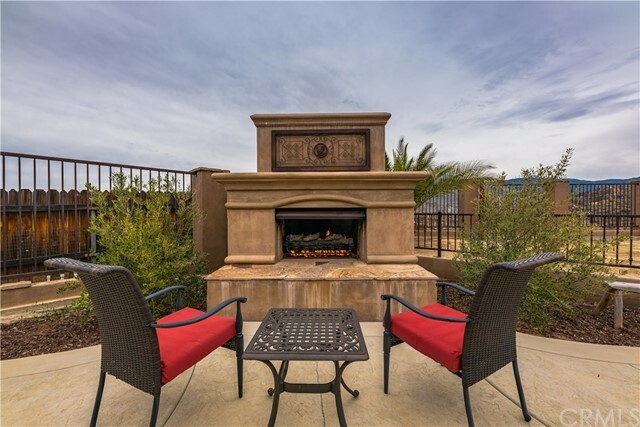 Enjoy the magnificent outdoor fireplace. 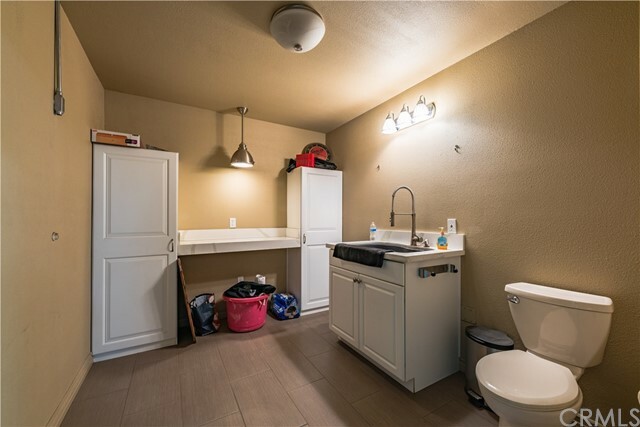 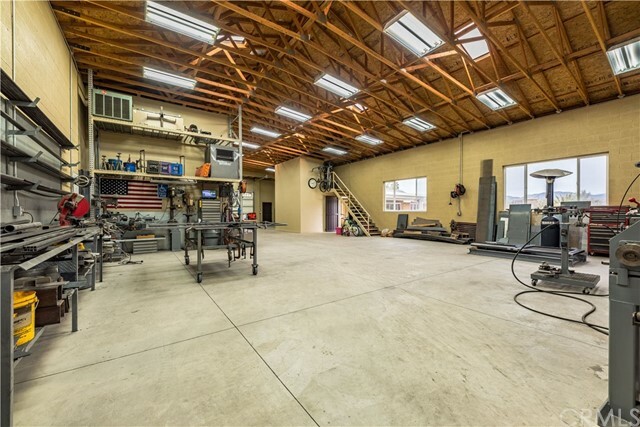 The almost 3,000SqFt block building garage/workshop built in 2015 & features 110 and 220-volt, quarter bathroom, huge loft/storage area, skylights, ample lighting, a 10x10 rear roll up door & can easily accommodate RV parking. 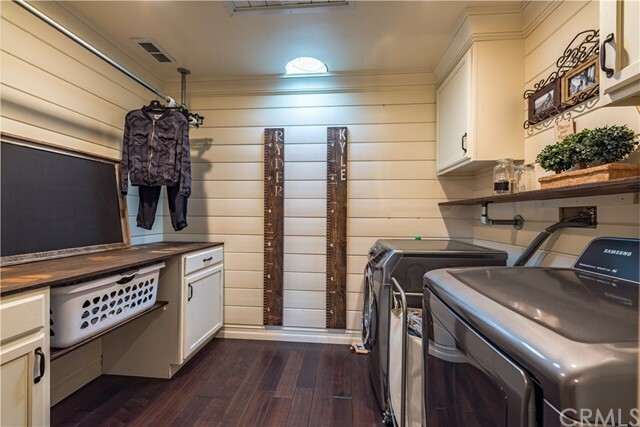 RV door is 10 wide x 13 6 tall & the closed in area for motorhome/trailer is 14 wide x 40 deep. 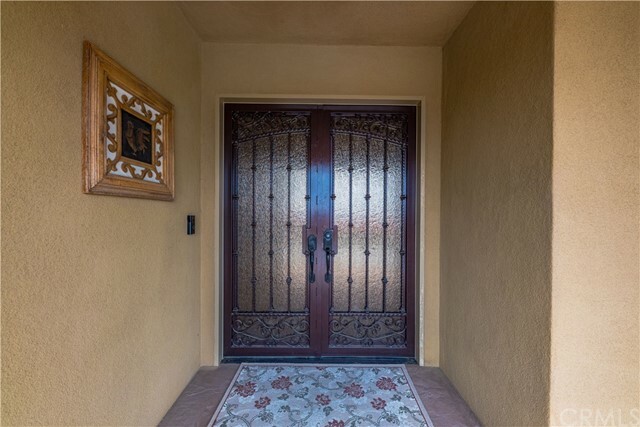 The other door is 16 wide x 10 tall & accesses the whole garage. 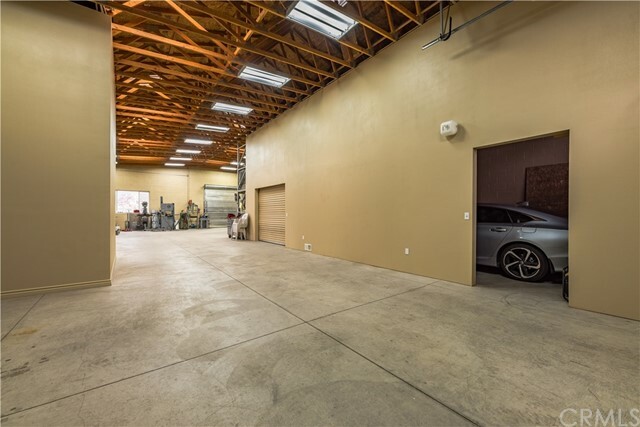 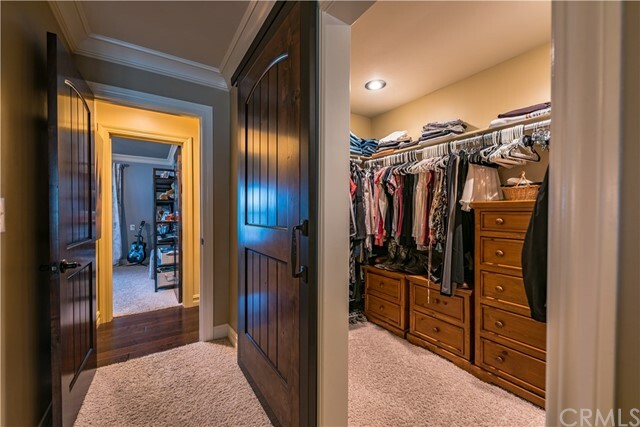 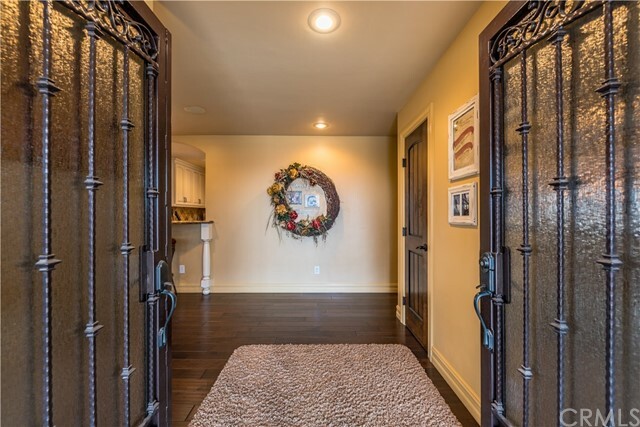 The automatic garage door openers are mounted on the wall & the doors open up to the ceiling. 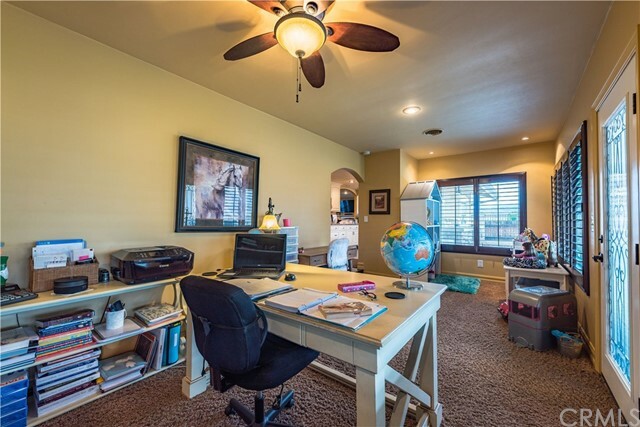 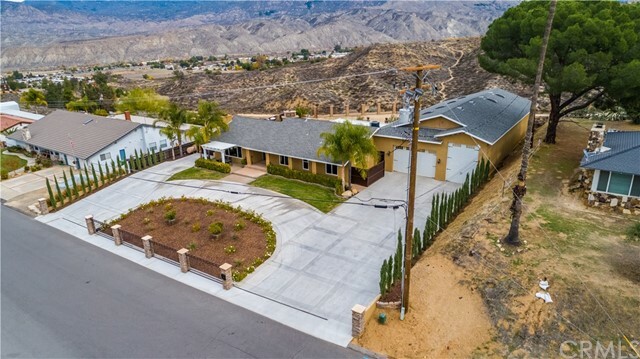 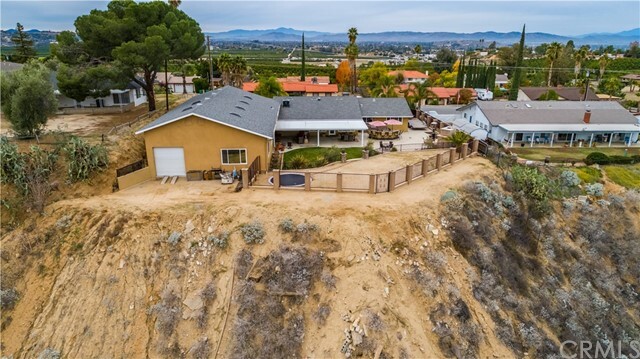 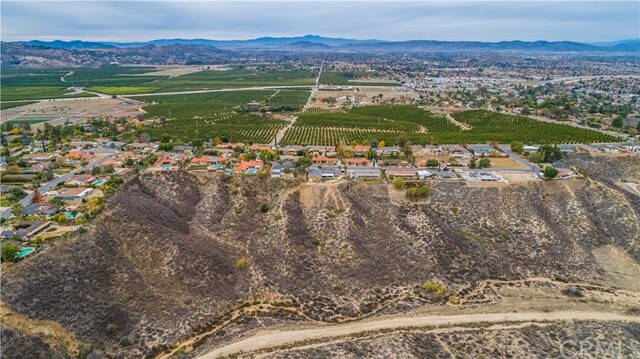 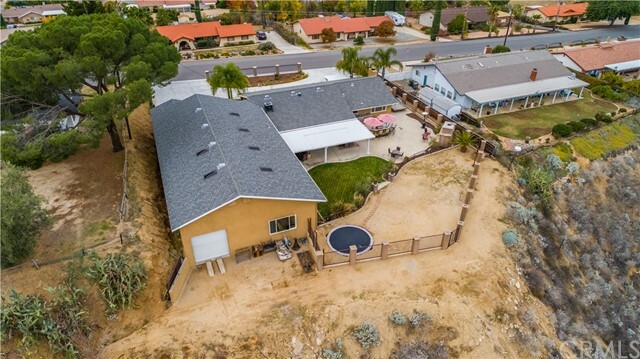 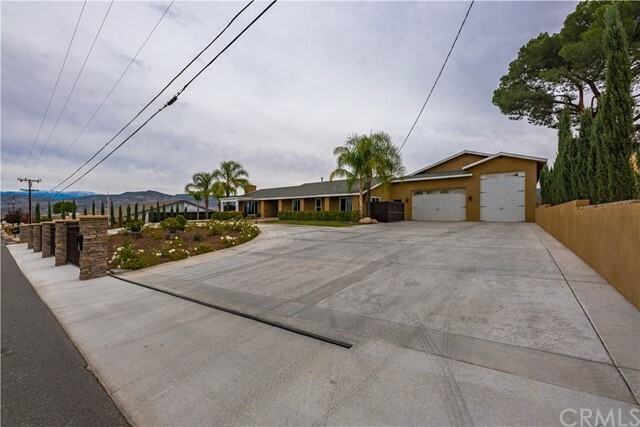 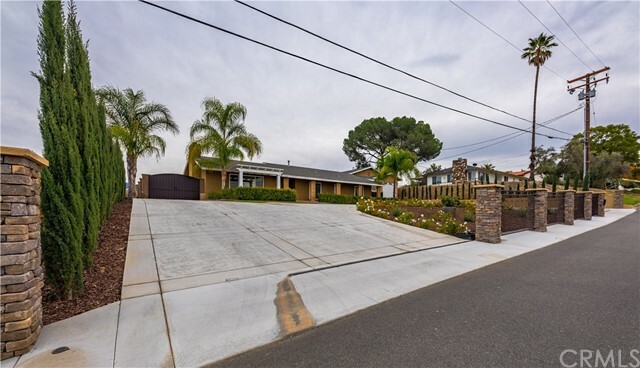 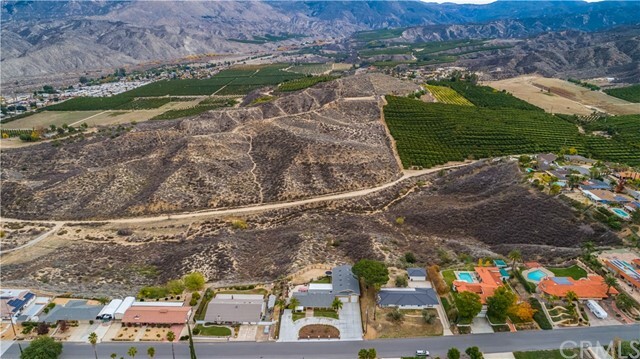 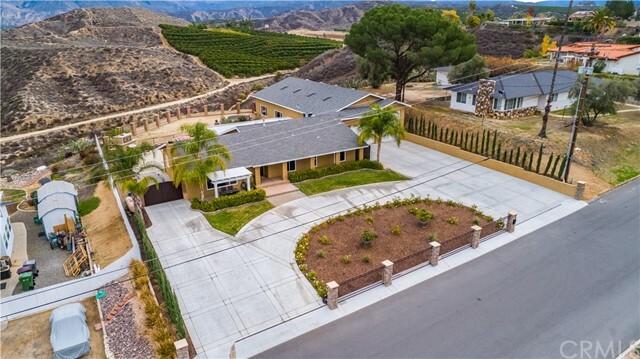 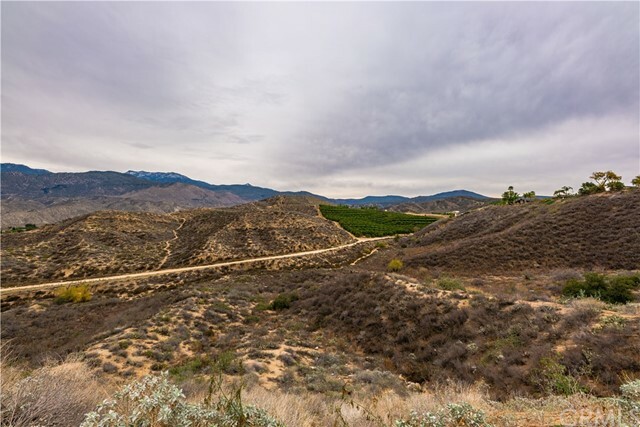 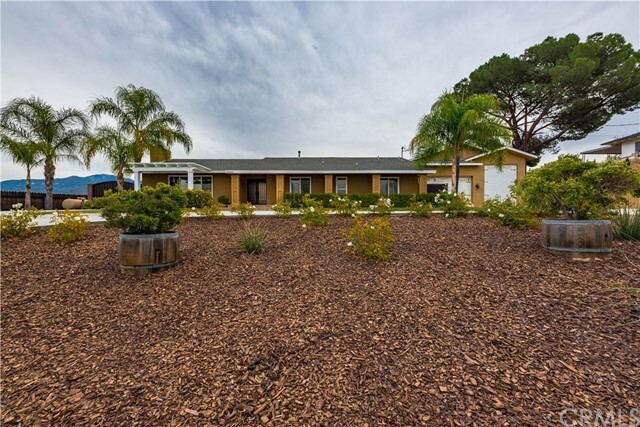 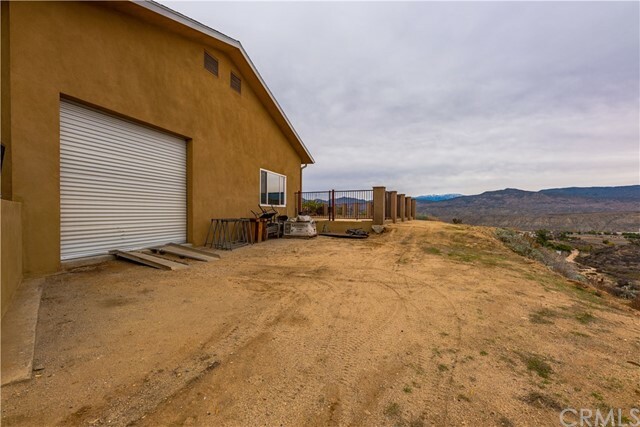 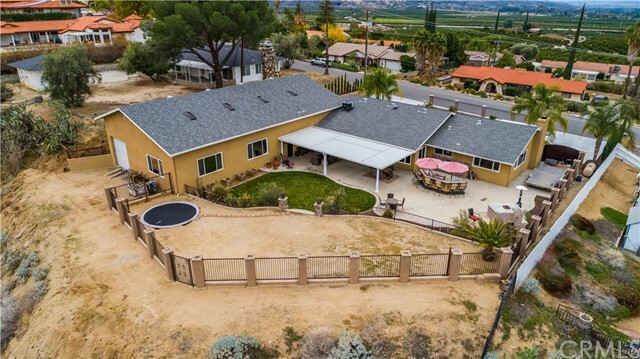 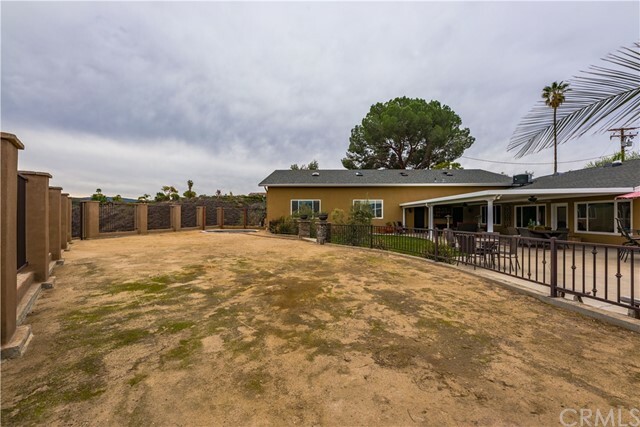 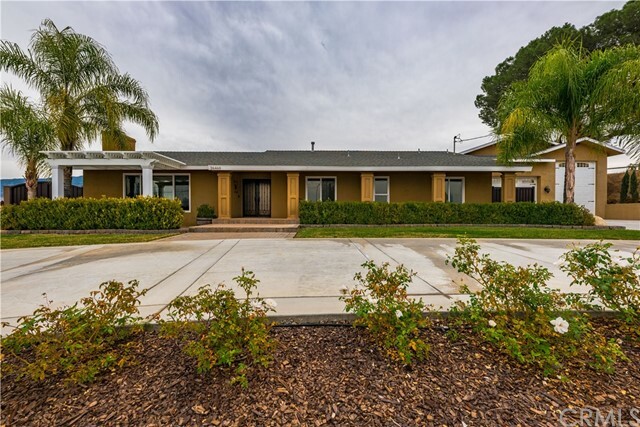 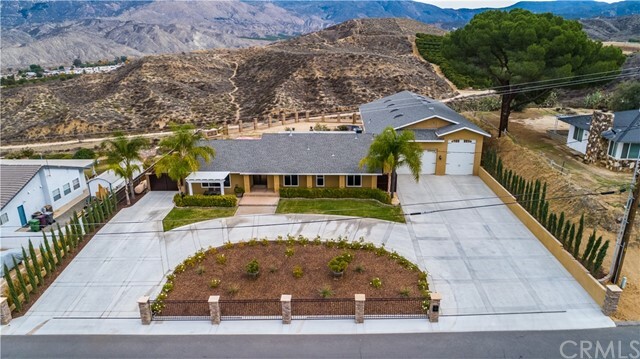 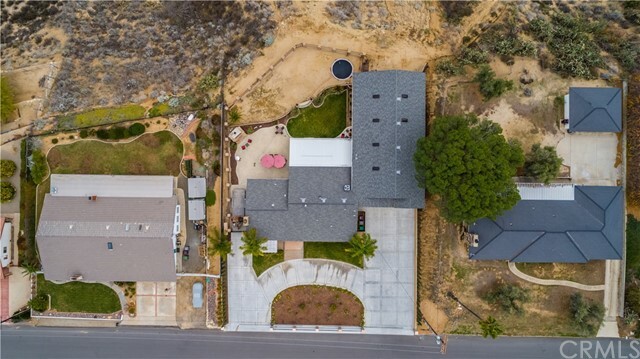 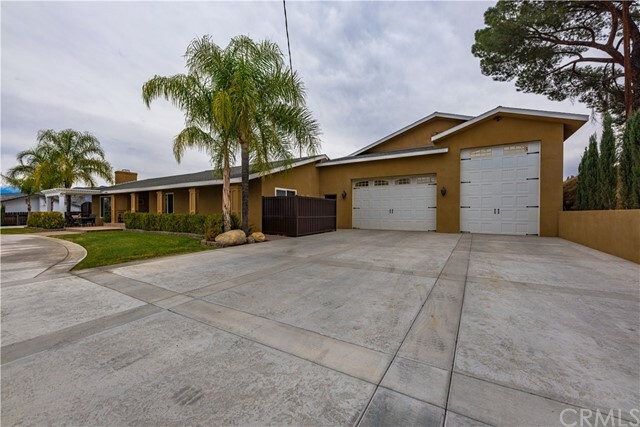 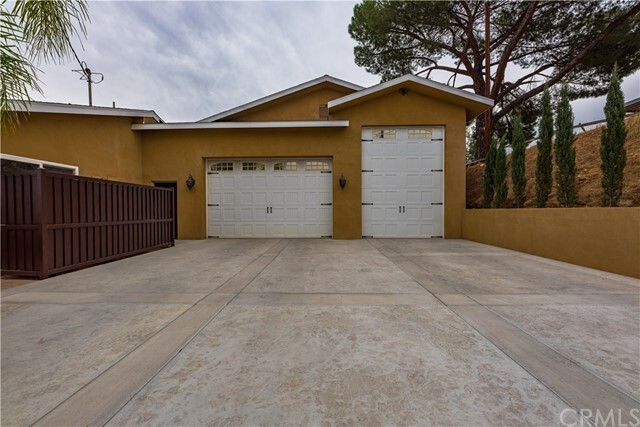 I would like more information regarding the property at 26460 Rim Road, Hemet CA 92544 - (MLS #2824377).